Deadline is reporting that Stranger Things star Sadie Sink is joining the Fear Street film trilogy. Fear Street will be based off of R.L. Stine’s novel series of the same name. The series first hit shelves back in 1989. It featured a group teenagers who dealt with supernatural—and often violent—threats to their small town of Shadyside. As well as Sink, the series of films will also feature Benjamin Flores Jr. (Ride Along), Kiana Madeira and Olivia Welch. All three films will be directed by Leigh Janiak, a relative newcomer whose most noteworthy credits are two episodes of MTV’s Scream series and an indie horror film called Honeymoon, which starred Game of Thrones star Rose Leslie. Sink first broke through with the second season of Stranger Things. Her character Max, and Max’s brother Billy (played by Dacre Montgomery) shook up the town of Hawkins and its main cast of characters, which includes Millie Bobbie Brown, Finn Wolfhard and Winona Ryder. The new season drops in July of this year. 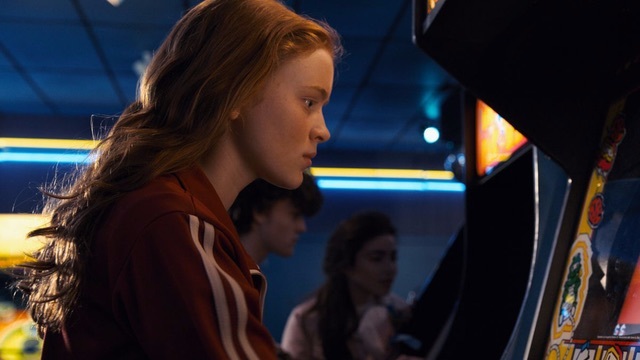 With the clear similarities between Fear Street and Stranger Things, including paranormal/horror elements and taking inspiration from the 1980s, it will likely be an easy transition for Sink. Along with penning Fear Street, Stine is most frequently known for his series of children’s horror novels Goosebumps. Goosebumps has been adapted for the screen a few times. Its first adaptation was a show of the same name which ran in the mid to late 1990s. More recently, the series has been reimagined for the silver screen. The first Goosebumps film hit theaters in 2015 and starred Jack Black (School of Rock) as Stine himself. The sequel, Goosebumps 2: Haunted Halloween, was released in 2018 and featured a mostly-new cast of characters.